‘A book for generations of Aussie football lovers ... a great read for the real football addict’ (David Parkin, former Subiaco, Hawthorn, Carlton and Fitzroy coach). 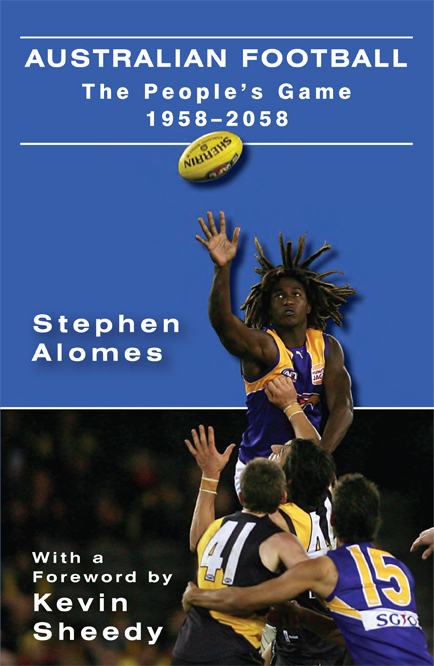 Stephen Alomes went to the footy before he went to school. Since then he has played, at the lowest level, and written articles on Australian Football and books on Australian expatriates in London, nationalism, Australia and France and Australia and Japan. He last played in the Sugadaira Cup in Japan in 2000. A writer, broadcaster and painter, he is an Adjunct Professor in the Globalism Research Centre at RMIT University.